Did you know you can click and collect your Aldi order with CollectPlus? There’s never been an easier way to shop online for great value quality wines and products for the home and garden. Aldi now offers CollectPlus click & collect to our network of over 7,000 local stores, allowing you to pick up your items at a time and a place that suits you, so there’s no need to wait in for delivery. 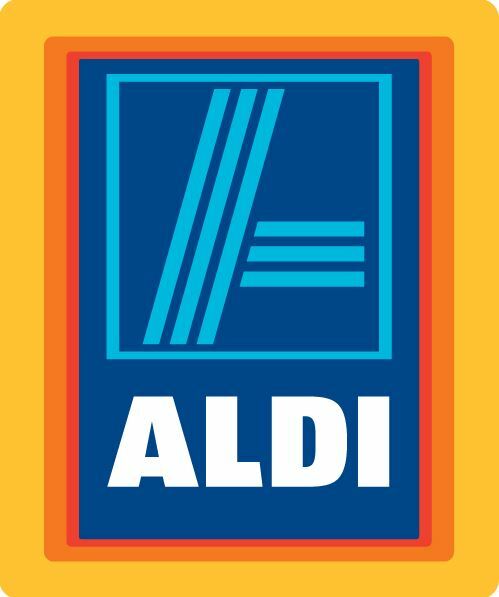 The click & collect service is available for all items sold online with Aldi, including the store’s compelling range of Specialbuys, where you can find outstanding value items with new products released twice a week. From baby gear to the latest kitchen gadgets and stylish bed linen, there’s a bargain to be found for all your everyday needs. 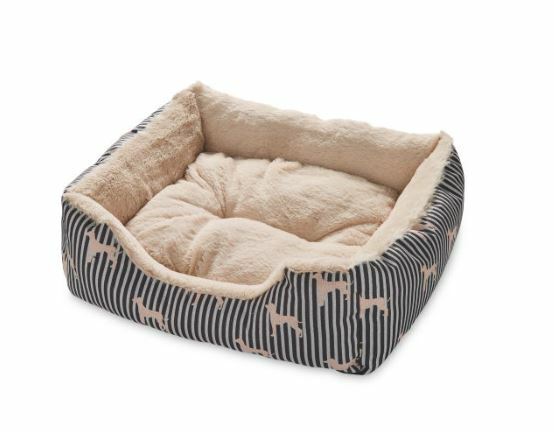 You could get this extra large striped dog bed for just £18.99 which will be perfect for your furry friend. This bed will be the perfect place for them to rest their paws after a long walk. 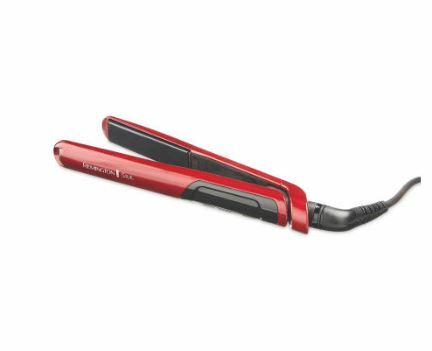 Aldi even sell these Remington Silk Therapy straighteners for £24.99 which are super handy and much more affordable than some other straighteners on the market. Another amazing Specialbuy from Aldi is the luxury candle range. 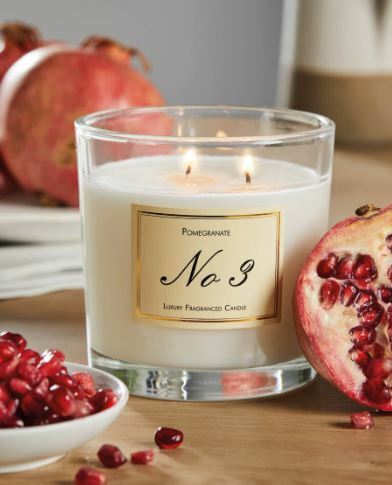 This pomegranate candle is just £3.99 and there are many other scents within this range, along with diffusers and hand wash and cream. To have your Aldi Specialbuys delivered with CollectPlus click & collect, simply choose CollectPlus at the checkout, and you’ll be guided through the steps you’ll need to pick your nearest store for collection. With Valentine’s Day just around the corner, six bottles of quality bubbly could be just the ticket to a romantic start to your evening. 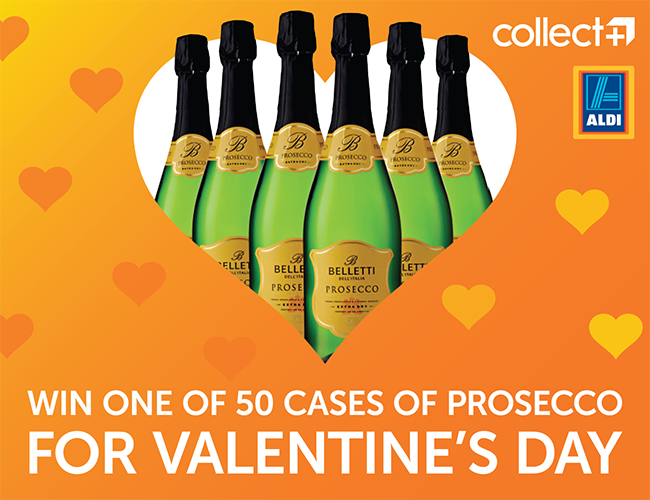 And to help you reach your V-day goals, Aldi is offering you the chance to win one of 50 crates of Belletti Prosecco – the perfect partner for refined appetizers. Bursting with Citrus fruit and flowery features, this Prosecco is imported from Northeastern Italy and usually retails at £32.34 per crate of six. If you’d like to order, you can also use Click & Collect to have a case delivered to your chosen CollectPlus store – find your nearest on our store locator.